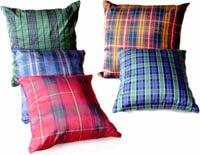 Dupion Silk Tartan Fabric by the yard is available in the following tartans only. Anderson, Baird, Old Baird, Black Watch, Braveheart, Bruce, Buchanan, Antique Buchanan, Burns, Cameron, Campbell Ancient, Crawford, Dark Maple, Davidson Ancient, Douglas Ancient, Erskine Black + White, Flower of Scotland, Forbes Ancient, Fraser, Gordon Dress, Graham of Mentieth Ancient, Grampian, Gunn, Johnson Ancient, Kennedy, Lindsay, MacBeth, Macdonald of the Isles Red Ancient, MacDonald Clan, MacDuff, MacGregor, Macinnes Hunting, Mackintosh, Mackintosh Chief ( Chattan Ancient ), Mackay Ancient, Mackenzie, Mackenzie Old Colors, MacLachlan Hunting, Maclean Hunting Ancient, Macleod Ancient, Macmillan Ancient, MacNaughton, Macpherson Hunting, Macrae Hunting, Murray of Atholl Ancient, National Tartan ( Scotland ) , Perthshire, Princes Mary, Ramsay Red, Robertson, Ross Hunting Ancient, Ruthven, Sinclair, Stewart Camel, Stewart Dress, Antique Stewart Royal, Stewart Prince Charlie Edward, Stewart Modern Royal, Wallace. Please note that some of the above tartans are avialable in limited supplies so please allow sufficient time for delivery. Please note also that there may be slight flaws in the fabric due to its composition so please order extra for critical applications. Other products available include cumberbunds and ties, cufflinks, cushion covers and ribbon in a variety of widths.